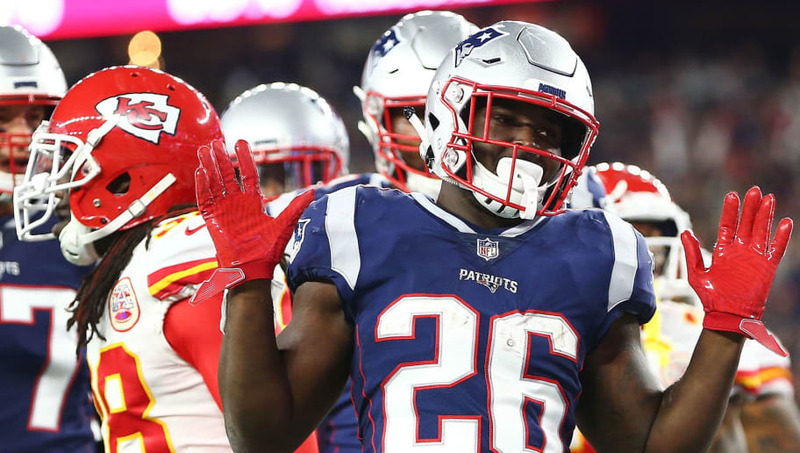 Patriots running back Sony Michel is expected to return to the field this week after injuring his knee a few weeks back. Michel has become the leading rusher for the Patriots and a vital part of their offensive gameplan, especially since the Pat's other running back, James White, is primarily a pass-catching back. Rex Burkhead, likewise, has been out, though he was on the IR. He also returned to Patriots practice and could return in a few weeks, crowding the Patriots backfield even more. While this is good news overall for the Patriots, there is one person whose value this hurts big time: Cordarrelle Patterson. The veteran wide receiver stepped in at running back last week against the Packers while James White was removed for a couple series due to injury. Patterson rushed for 61 yards and a touchdown on only 11 carries. This performance got him the official running back designation. Announcement: Cordarrelle Patterson of the Patriots has had RB added to his positional eligibility on @ESPNFantasy. If Michel was out, Patterson was looking forward to another week of leading the team's rushing attack. Now that Michel is back in the fold, and with Burkhead expected to return soon, Patterson has gone back to fantasy irrelevancy. Outside of an unexpected deep touchdown pass or a punt return, Patterson brings little fantasy value, which is odd to say for a wide-receiver-turned-running-back, but it's Bill Belichick and the Patriots, so here we are.